Investigations into small and medium-sized enterprises (SMEs) deemed to have underpaid VAT filled the Treasury’s coffers with an additional £3.75 billion, according to new data from HM Revenue and Customs (HMRC). 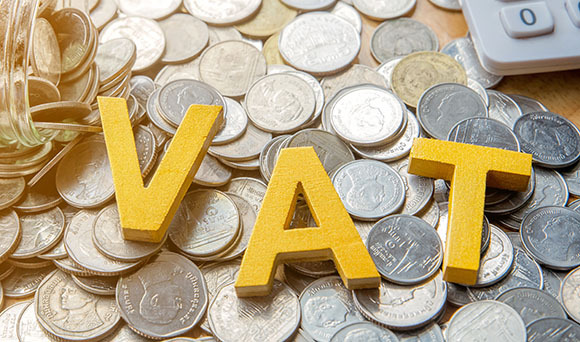 This equates to a 12% year-on-year increase of in revenue collected via VAT investigations, suggesting that the tax authority is ramping up its efforts to target businesses deemed to be potentially underpaying their VAT liabilities. It is thought that the increased funds retrieved from HMRC’s recent VAT investigations contributed to half of all revenue collected via HMRC investigations into small businesses during the 2017-18 financial year. There is no doubt that HMRC is becoming increasingly agile in reacting to underpaid VAT by businesses, regardless of size. VAT receipts reached record-high levels of £125 billion last year, up almost two-thirds (60%) a decade ago. Furthermore, VAT receipts now amount to more than a fifth of the Exchequer’s total tax take. The arrival of Making Tax Digital for all VAT-eligible businesses is just a matter of weeks away. From 1st April, HMRC will have the ability to monitor business’ digital VAT accounts almost instantly to ensure even the smallest firms are meeting their VAT obligations. HMRC investigations into underpaid VAT can take their toll on small businesses that don’t have the resources to deal with a tax investigation and run their business day-to-day. These investigations can also lead to a drain of resources in legal costs, which may have been ring-fenced to underpin future business growth. Therefore, it makes absolute sense to prepare thoroughly for Making Tax Digital for VAT. It will not only keep tax investigations from HMRC at bay, it will give your business a better handle on how much tax you owe – or how much tax you are due back – throughout the financial year. If you are a small business owner that feels in the dark about your impending Making Tax Digital for VAT obligations, sign up to our free webinar on Tuesday, 26th February, at 4pm. Our 20-minute webinar will explain fully your MTD for VAT obligations and offer practical tips to prepare your small business for 1st April. A Q&A session will also follow the webinar, giving you the platform to have your unique concerns heard. To submit a question ahead of the webinar, click here. If you are unable to make our MTD for VAT webinar, click here to sign up for a free recording of the session, allowing you to watch it back at your earliest convenience.